Description: super f*cking loud, also has a 25 watt setting. on the 100 watt setting, it overpowers everything at 3 (and isn't driven enough at 3). Sounds fantastic clean (similar to a Fender Twin) but if you drive it, it's not that far off from a JCM800 or similar, except it's got the sparkly highs that those amps don't have and doesn't break all the time. I love it's sounds, versatility, reliability and volume. its only drawback is how f*cking heavy it is, it weighs a ton. 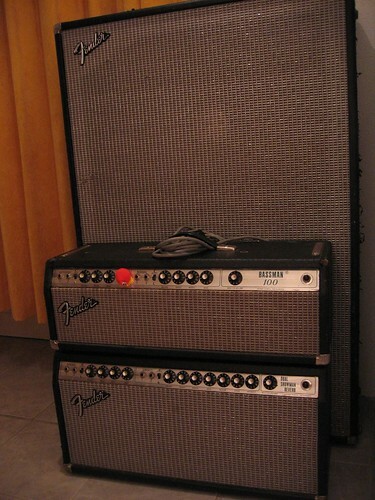 Combo or head/cab: Head, although a combo is available. Styles good for: Rock, especially if you have a bad back because this thing is light. Description: I got sick of lugging my Marshall up and down stairs and got this instead. 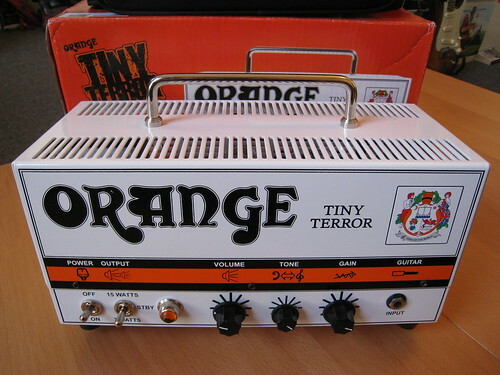 It's darker than most amps I've played, and probably not the optimal thing for the soul-influenced garage punk I've been playing, but I like it a lot. For a while I thought it was completely lacking in brightness but having my guitar correctly set up helped immensely. It's kind of a one trick pony, in that you dial in one sound you like and leave it there, but I like that one sound. It's been plenty loud enough for club-sized gigs.